"I meant that we need Kaleo's strength to move anything," Akamu explained. "Especially if we get that wagon. And he can't exactly do anything from out front. I was asking if there was a gate to the backyard we could all go through and then you and I can slip in through the back door while Isolde and Kaleo wait in the back where there aren't as many-"
He paused for a moment to do something Oliver had done many, many times: scent the air. Out of paranoia, Oliver did the same. Nope, nothing but the smell of ashes. Unease made his gut twist. Even if nothing catostrophic happened, could he ever really feel at ease someplace where his most basic line of defense didn't work? "-open spaces..." finished Akamu, trailing off. Oliver winced. Oh boy, he sure could understand the anxiety around that. Open spaces and an overpowering scent to mask every other scent around him. The worst combination. Kaleo nudged his friend and leaned down to whisper into the puppy's ear, the other boy taking his words into consideration before adding, "Look...I'm not... We said we'd help, right? I'm not trying to move in on anyone's turf. I just want to find our trainer and go home. That's all." What? But nobody thought they were...? Isolde handled it with far more grace than he ever could have. "That's fine, Akamu. I wasn't thinking that at all. I just... wasn't sure what you meant. I'm sorry, I'm still learning." Wow. She was so good at this. A knot or two in his chest loosened. She was a good leader. They'd be okay. He almost didn't realize she was speaking to him and he jumped a bit as he did, hastily snapping his gaze over to look her in the eye. "-I was planning on staying outside. But Akamu has a good point. So let's see if we can find the 'gate' he was talking about." She wasn't mad. Okay. Okay, good. He nodded and went around to the side of the house, sighing in relief. As he'd suspected, the gate wasn't hard at all to find. Or, well, what was left of it. The fire had evidently been stopped while in the process of eating the fencing, because it still stood but only partly. The part facing them was scorched, with parts gone all together. Unlatching the gate wasn't even neccessary; they could just slip through the holes, which he did when the others did. His face brightened when he saw a shed in the backyard. It wasn't the garage he'd anticipated having to look for, but maybe the wagon was in there. He turned to Isolde and spoke, softly, pointing to the structure. "Th-the wagon I m-mentioned might be in there." Oliver nearly jumped when Isolde spoke to him, but he quickly nodded along and started looking for the elusive gate with her. His nervousness around her was strange, but she chalked it up to... everything that was going on. The world she found herself in after running wasn't a friendly place after all. It would be stranger if he wasn't at least somewhat nervous about people he barely knew. It didn't take long before they found what they were looking for. The fire that had gone through the town hadn't entirely eaten the gate through, but there were big enough holes that even Kaleo could get through without needing to open the gate. Isolde still elected to just fly over instead of attempt to squeeze her broad wings through. Oliver's face brightened when he noticed a smaller building that Isolde originally had ignored in favor of finding food. He pointed towards it and quietly said, "Th-the wagon I m-mentioned might be in there." "Is that a smaller house?" She asked as she flew towards it. It kind of looked like the standard human house, and there was even a door that she thought she could work open. Before she tried to deal with the door, she paused in front of the it and listened. She waited for the others with stronger senses of smell to indicate whether they smelt something wrong before she jiggled the handle as she fumbled trying to grab and turn it. There was a small amount of delight when the door opened with ease; She was learning how to use the strange human devices! Deciding to go in first to make sure there wasn't something hiding, Isolde went in and she felt her wing catch something and knocked it over. It wasn't heavy, but it still made a noticeable clang. The sound triggered a fight or flight response, and she immediately started looking around for what that was and if something would be attracted to the sound. The thing she knocked over was mostly wooden with what appeared to be a reddish metal sharp thing on the end. After a few seconds of waiting, she called to the boys, "I think it's safe, but let's find the wagon and leave." "Is that a smaller house?" Isolde asked as she flew over to investigate. Oliver followed, a little concerned about what she might find in there, then promptly kicked himself for such a stupid thought. Like Isolde would find anything dangerous in there that she couldn't handle but that he could! Well... if nothing else, she might encounter stuff she'd have questions about. Not wanting to get too close in case he bothered her, he hung back several feet away, watching as she stopped to listen at the door, then glanced back to gauge... probably Akamu's opinion, what with his useful nose and all. Not wanting to be dead weight, Oliver added a very soft "I don't smell anything bad either" after Akamu's opinion. With the affirmation that they were probably safe, she began to fiddle with the door, and Oliver bit his lip. If she couldn't get it open she might be angry, and she might be angrier still when he succeeded at what she failed at. I hope not. But her efforts were a success and she smiled when the door clicked open. Oliver couldn't help but smile back. She went into the shed to poke around, Oliver nearly jumping out of his fur when a clang echoed, but given that no cries of alarm followed, he assumed she was the one who'd knocked something over. It didn't stop him from leaping to his feet, ready to bolt. "I think it's safe," she called from the shed, "but let's find the wagon and leave." Slowly, he crept over and stuck his head into the shed, glancing around before entering. She was right; nothing in here but old gardening tools and children's toys. For a second the toys made him ache-- balls and summertime waterworks equipment and even a few pool noodles despite the absense of a pool in the backyard. Maybe one of their nearby friends had a pool. But the pain was interuppted by a splash of bright red against the dusty white wall, and he beamed as he raced over to it, pushing a box over to climb on so he could look inside. With everyone seeming in agreement the duo fell into step behind the butterfly and thankfully made their way as a group into the back garden. The fire had left a lot of the back untouched, luckily, so when a shed popped up in the back Akamu felt like their luck might actually be turning for the better. "Is that a smaller house?" Isolde asked, perplexed at the shorter structure. Kaleo smiled at the wild pokemon's lack of human knowledge once again. He found it endearing to experience things for the first time like that, even given the circumstances. Erring on the side of caution Isolde listened at the door and gave Akamu a brief look as she listened at the door. Sensing what she was trying to ask he sniffed the air a little and gave her a small shake of the head. He didn't smell anything. "I don't smell anything bad either," Oliver replied as well causing Akamu to chuckle. He didn't usually trust anyone else's nose but his own but the kid meant well. Isolde managed to get the door open with some effort, Kaleo already stepping forward to help kick at it at the same time it finally gave. Giving them all another glance she went in alone and the group waited patiently until a loud clanging noise ripped through the air. Kaleo jumped and skittered back towards the fence as Akamu went on alert but it turned out Isolde had merely knocked over one of the garden tools. A rusty old hoe from the looks of it, but he was too far away to tell. "You okay in there?" he called out softly. "I think it's safe," she called back from inside, "but let's find the wagon and leave." 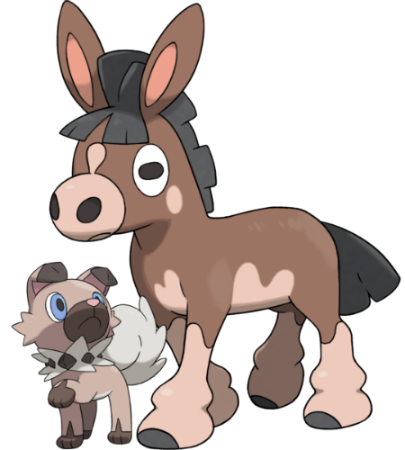 Giving Kaleo a low howl the Rockruff called to his brother to come back, the shivering donkey coming back on wobbling legs as he sought out the safety of his brother. Kaleo was still shaking when Akamu stepped inside the shed but they couldn't waste any more time, no matter how much it hurt to leave the other alone for even a moment while he was scared. Oliver was the first to find success in the form a small wagon used for either the garden or a child, jumping onto it to inspect the worn contraption. "Th-this is it! This is a wagon! And it looks like it's in good condition too!" His excitement noticeably dimmed as he looked around and Akamu wasn't sure why until his nervous stammer came back. "We uh- we w-won't know it works until someone gives it a tug- make s-sure the wheels still work..."
"I'm sure it's fine," Akamu replied calmly, his brain immediately kicking over into the same mode he used to handle Kaleo when he was nervous. "There's been no rain in here that I can tell and I don't see any rust on it beyond the normal scratches and dings. It might be a little stiff at first from lack of use but it doesn't look bad. Good find." Kaleo stuck his head into the shed as the others spoke, his body too large to get inside but unwilling to be totally alone in the backyard. "I can give it a pull, if...if you want," he all but whispered. "See if it moves." Akamu nodded. "Oliver can you tie that rope up there to the handle? Kaleo can pull better that way and he's the strongest out of all of us. But you're the only one with fingers I'm afraid." Akamu and Oliver came in and looked around behind her while Kaleo stayed outside due to his size. Isolde would have tried to help the two younger Pokemon out, but they actually knew what they were looking for. The various items stored in the small building were unfamiliar to her at best, but she was still intrigued by the various items that the humans kept in there. After a few moments, Oliver called out in excitement, "Th-this is it! This is a wagon! And it looks like it's in good condition too!" She looked over in interest in time to see his face fall immediately. "We uh- we w-won't know it works until someone gives it a tug- make s-sure the wheels still work..." He stammered out nervously. She was very confused at the sudden mood shift, but Akamu quickly tried to soothe him, "I'm sure it's fine. There's been no rain in here that I can tell and I don't see any rust on it beyond the normal scratches and dings. It might be a little stiff at first from lack of use but it doesn't look bad. Good find." Kaleo stuck his head in to suggest, "I can give it a pull, if...if you want. See if it moves." The small donkey couldn't fit in much further, so she wasn't sure how he was going to manage it. Akamu, thankfully, already had an idea. "Oliver can you tie that rope up there to the handle? Kaleo can pull better that way and he's the strongest out of all of us. But you're the only one with fingers I'm afraid." Isolde tried to see what he was talking about, and she noticed the long, thin fibers that were twisted together in order to make a much thicker fiber. Oliver quickly followed the request and tied the rope to the wagon and brought the other end to Kaleo. The wagon resisted the tug for a few seconds, but after some squeaking, it rolled forward. "Oh, wonderful! It works like you thought," She said while giving Oliver a small smile. Kaleo pulled the wagon out of the smaller building, and once everyone followed, Isolde shut the door behind them. They might could look in there for other supplies later, and she didn't want to tempt something else to wander in. "I'm sure it's fine," Akamu said. "There's been no rain in here that I can tell and I don't see any rust on it beyond the normal scratches and dings. It might be a little stiff at first from lack of use but it doesn't look bad. Good find." He blinked at the praise, eyes wide and face flushing. What? Kaleo stuck his head into the shed, Oliver glancing from Akamu to pay attention to his brother. "I can give it a pull, if...if you want. See if it moves." Oliver thought that'd be no trouble until he realized Kaleo was too big to fit into the shed properly with all the junk lying around. Thank goodness for Akamu, though. "Oliver can you tie that rope up there to the handle? Kaleo can pull better that way and he's the strongest out of all of us. But you're the only one with fingers I'm afraid." He nodded and tied the knot for them, grateful once again beyond words for his fingers. Things were so much easier with fingers. He had no idea how any other species survived without them. Upon bringing it to Kaleo, the donkey tried to move it, Oliver biting his lip. It resisted the attempt at being moved at first, but Kaleo was far stronger than a child's wagon and to Oliver's great relief, it did indeed work properly; with a hideous squeaking as the wheels gave way to use, it lurched forward. "Oh, wonderful! It works like you thought." The smile she gave Oliver set his face burning hot again. Two compliments in one day...? Dazed, he followed everyone out. Isolde shut the door behind them. And so, they brought the wagon near the back of the house and awaited Phobos, Oliver's anxiety spiking a touch. He hoped the ghost was still okay. With nothing to do, and the others taking longer than he expected to get back, Phobos is dying of boredom. How long has it been, hours? Days? Years? Maybe he should’ve asked to stick with them instead of agreeing to wait here. That would have been the smart thing to do. If only he could go back and tell his past self: don’t be dumb and wait here, there’s nothing to do and it’s creepy! Being by yourself is only fun when you can explore and actually do things! The thought of Dei would have made Phobos shudder, if he had a physical form like everyone else here did. 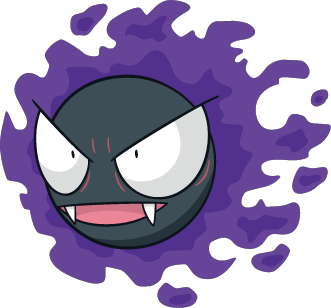 Just to be safe, he looks around the room again, hoping and praying to Uxie not to catch a glimpse of a Gengar. Stupid. It’s so stupid of him to think he’s safe just because he can’t see his sibling. They can hide so much better than he’s able to seek. Deimos could be in this room with him at this very minute, and he’d be none the wiser. He can’t stay in this place alone for even a second longer. Phobos feels eyes on him, eyes that may or may not really be there, how could he be sure? He can’t take that chance. As easily as when Phobos first showed the trick to Isolde and Oliver, he slips through the solid wall into the backyard-and right to where he could see that the others were already there waiting for him. Oliver worked deftly once he had a goal and within moments the rope was tied and secured to the little wagon and the rope brought to Kaleo. The Mudbray bent down and gingerly took the rope from the chimp, giving him a small, timid smile behind his full mouth, and began to pull. To any of the others the rusted wagon would have been like dragging a brick but Kaleo's species was known for moving up to 50 times their own weight so he didn't even notice the effort. He simply walked like normal back out of the shed the way he came and the wagon came with him with a squeak. "Oh, wonderful! It works like you thought." Akamu echoed Isolde's joy with a happy yip of his own and followed his brother with a bit of pep in his step. The wagon would make taking anything they found way easier to wherever the little group wanted to go and then he and Kaleo could get back to looking for their trainer. So while Isolde closed the way behind them Akamu kept up with his brother, counting his reasons to be optimistic. They were just getting to where they were supposed to wait for the Ghastly when the ghost came out on his own to check on them, startling Akamu into jumping back with a bit of a snarl. ”Oh-um, sorry if I scared you guys. I got worried,” he said timidly, making Akamu feel a little guilty about reacting the way he did. But with how things were nowadays...It was only natural he was a little jumpy. ”What’s that?” Akamu's eyes followed Phobos's to where Kaleo stood, little wagon by his hooves. "A human machine. It's gonna help us carry stuff. Did you find a way big enough for me and Oliver to follow you in?" Figuring that Akamu, Oliver, or Kaleo would be able to answer the question, she kept quiet, and Akamu had a ready answer. "A human machine. It's gonna help us carry stuff. Did you find a way big enough for me and Oliver to follow you in?" She didn't have any input on this part of their quest since she would be unable to follow them in there, but that wouldn't stop her from worrying about it. Something inside his whole body gave way at the sight of the friendly ghost. He couldn't call it relaxing, exactly, but some kind of knot definitely loosened. The last time people separated, it ended badly. This time, at least, it hadn't. Maybe he could breath easier now. Not that he'd really feel better until they were back at their shelter, but at least seeing everyone together meant no one was off being targeted by some unseen threat. "What’s that?" asked Phobos, looking upon the wagon with bright, curious eyes. "A human machine," Akamu answered, Oliver nodding. If Phobos was curious he could give him a more in-depth explanation later. "It's gonna help us carry stuff. Did you find a way big enough for me and Oliver to follow you in?" 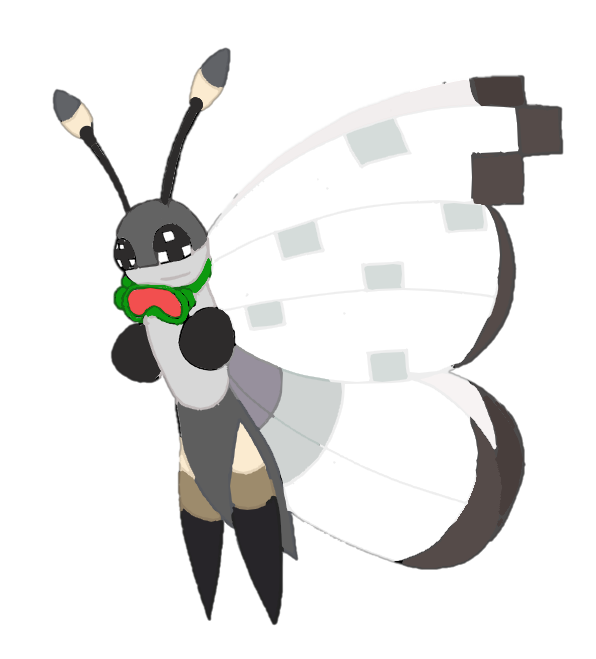 "I-if it's really dark in there my tail should do a pretty good job of fixing that for us..." Maybe this stupid thing would be actually useful for once. That would sure be nice. "A human machine,” Akamu answers, which doesn’t really clear up Phobos’ curiosity that much. ”It's gonna help us carry stuff. Did you find a way big enough for me and Oliver to follow you in?" Oh... Phobos shrinks back a little after that. Short responses are never a good sign, they always mean he’s made someone mad. He definitely made Akamu mad, didn’t he, especially after that little freakout of his. Thinking that only deflates whatever was left of his confidence. Why did he always have to mess up? They gave him literally one task, and somehow he managed to annoy them anyways. ”Um, sorry! I did find something like that...sorry, I should’ve said it earlier,” Phobos says quickly, wishing he could find an excuse to phase back into the wall and stay there after this string of embarassments. So much for him being helpful-they’re all no doubt irritated with him. Why wouldn’t they be? He’ll probably screw this up too, just like he did with Shadowmere. "I-if it's really dark in there my tail should do a pretty good job of fixing that for us..." Oliver adds. ”Um, sorry! I did find something like that...sorry, I should’ve said it earlier." Akamu wasn't sure why the ghost was freaking out and tilted his head in confusion. "It's fine? I only asked because I wasn't sure, so don't worry about it. Lead the way." Phobos nervously responded to Akamu's question, "Um, sorry! I did find something like that...sorry, I should’ve said it earlier." He shrunk back from them as if afraid of them, and Isolde couldn't help but wonder just what made him that afraid of them. They hadn't been threatening, had they? Now that she thought of it, most of the pokemon here were fairly nervous despite no one being threatening. She guessed it could be that they were still new to each other, and they were afraid of stepping on toes, but that didn't seem quite right. Once the others had followed Phobos into the human house, she floated near where they had entered. Kaleo moved the wagon closer to the house before pressing himself against the wall. She recognized his attempts to draw less attention from potential outsiders and approved of his proactiveness. Before long he asked, "There...there isn't anything that will find us while they look, is there?" "I don't think so, but I'm not taking chances," she answered quietly. She wasn't looking at him while she spoke; her eyes were on the sky and occasionally going towards the yard full of plants. "It's been quiet for a while, but... that's not always a guarantee." Part of her vigilance was due to the events of the last day or so and due to her life before the epidemic, so she didn't specify why. Oliver watched the ghost with widening eyes as he struggled through the interaction, feeling a tug on his heart,especially when Phobos apologized. What was wrong exactly, he could't tell, but boy, did he understand the fear that came with talking to other people, sometimes. To Oliver's surprise, his nervous little mention of his tail brought a smile from Kaleo in his direction. Oliver bit his lip to try to hide the automatic response--a big, stupid, nervous smile back--and fiddled with his scarf, realizing that he probably just looked even dumber than intended. Phobos speaking up offered a welcome distraction, and he looked up when the ghost answered him. Oliver nodded, and, remembering Phobos's anxiety earlier, made sure to give him a big smile, using the shy joy he'd gotten from Kaleo a moment ago to find the courage to do that and not feel dumb. "Y-yes please; thank you, Phobos." And so he followed Phobos inside with Akamu. Upon reaching the item that Phobos was trying to describe, Oliver's face lit up. "O-oh Phobos, this is perfect! Berry trees are kinda little but they're still bigger than the average houseplant so I was worried it'd be too small!" Unfortunately he was way too little, himself, to move the thing. But Akamu was here! So maybe they had a shot at this. "Y-yes please; thank you, Phobos,” Oliver says, giving him a smile that Phobos can only see as “encouraging”. As he leads them back into the house, Phobos doesn’t get much time to dwell on it-but his replacement thoughts aren’t much better. He keeps thinking: maybe he was wrong and the other two can’t proceed, what if something hurts them along the way, he could be leading them into danger. Phobos can only plead to Uxie that something doesn’t go terribly wrong. But nothing happens, and when he finally shows them the object he had found earlier, Oliver looks excited instead of angry or upset. "O-oh Phobos, this is perfect! Berry trees are kinda little but they're still bigger than the average houseplant so I was worried it'd be too small!" The words don’t sink in, not immediately. He didn’t mess this up? Some of the words confuse him, but Phobos... didn’t mess up. He didn’t! What other way can he interpret the things Oliver said? Perfect, he did perfectly. How he managed that, Phobos has no idea, but it’s hard not to mimic his companion’s obvious happiness. "I don't think so, but I'm not taking chances," Isolde answered with a soft voice. It didn't help Kaleo's anxiety that she didn't even look at him when she spoke, her eyes glued to the surrounding world. Akamu would do that sometimes, when they were too exposed to hide his larger form. How he wished, not for the first time, that he could be small like Akamu to hide better. It was his fault they could never hide completely.... "It's been quiet for a while, but... that's not always a guarantee." Nodding he pressed himself further against the wall, wishing he were like the ghost and could pass right through it. It seemed there were countless other creatures with more ability to aid than him. He could move heavy or large things but that had never been helpful before since they lost Jamie. he couldn't smell for miles like Akamu, or have fingers like Oliver, he couldn't fly like Isolde, and he couldn't pass through walls and hide like Phobos. Instead all he did was give whole new meaning to the phrase 'beast of burden', because that's all he ever was. A burden. It was only because Akamu wouldn't let him give up he hadn't wandered off somewhere already. Oh how he wished there were a mud pile around so he could feel its comforting pressure on his skin. Akamu followed Phobos diligently, grateful for the light from Oliver's tail though the choking amount of dirt and dust in the collapsing house left much to be desired. His nose felt like it was on fire trying to smell through all of it. At least the path was more or less clear, if a little zigzagged. No way they could have gotten either of the others through here so hopefully what they were coming in for they could get back out. After a few moments of carefully stepping through and around fallen debris Phobos stopped them at what appeared to be an old vase, it's paint and markings too faded and dirty to tell if it had ever been a functional vase or merely decorative. Didn't matter, they could use it anyway. "O-oh Phobos, this is perfect! Berry trees are kinda little but they're still bigger than the average houseplant so I was worried it'd be too small!" Nodding Akamu sniffed at it but once again all that wanted to permeate his senses was more dust. ”That’s-that’s great! How will you move it? Can I help at all, or...?” Huffing a bit to try and clear his nose Akamu nodded, looking over to the future planter and giving it a few nudges with his side to test the weight. "Maybe? Some of the ghosts back home can possess objects and make them float...is that a skill you have? We just need a little leverage and then I can get my mouth on this bit," he nodded to the rim, "and Oliver can pick up the other side with his hands. If not maybe we could find something to push under it? Or roll it as long as the way is clear before trying to get it through the fallen bits we crossed?" The fact that Kaleo didn't say anything else didn't bother Isolde as she kept an eye on their surroundings. She could hear the others speaking, but any sounds were heavily muffled by the house and distance as they got further away. The sky was thankfully clear of birds and other fliers, and that eased some of her fears. However, the fact that living and undead had simply walked up to them had made it hard for her to truely relax. Every now and then, she would glance at Kaleo to ensure he was still there. The poor kid was all but hugging the wall, but it was still painfully easy to see him. For now, it was just a wait until the other group returned. "Maybe?" Akamu pondered. "Some of the ghosts back home can possess objects and make them float...is that a skill you have? We just need a little leverage and then I can get my mouth on this bit," he made a nod towards the rim, "and Oliver can pick up the other side with his hands. If not maybe we could find something to push under it? Or roll it as long as the way is clear before trying to get it through the fallen bits we crossed?" With Phobos giving an apologetic no to Akamu's musing about levitating stuff, Oliver thought over the other suggestion Akamu had. "M-maybe we should- try to find something to push under it, before trying the other thing...?" he suggested, hesitation tripping up his words. God he hoped Akamu didn't take offense to speaking up about preferring a particular course of action. "S-since- rolling... runs a higher risk of breaking it...?" Disappointed, but not entirely surprised, by the ghost's sad negative to the possibility of possession Akamu let out a little sigh. He knew it was a long shot since the ghosts back home were nothing like their Kanto counterparts as he had come to understand but it would have been nice. Oh well. Nothing in this journey had ever been easy so no reason it would start now. "M-maybe we should- try to find something to push under it, before trying the other thing...?" Oliver spoke up timidly, almost as though he were scared to say anything at all. Oliver had been skittish from the start but this was the first time it felt like Oliver was actively scared of him. Which was...odd. And very uncomfortable, quite frankly. Sure his kind and himself in particular had a penchant for being harsh but being scared of him was just rude. "S-since- rolling... runs a higher risk of breaking it...?" "Don't really care," he replied flatly, tail swishing a couple of times to the side in annoyance. "I was just putting out ideas to getting this thing outside. I don't care which one we try. You're the one with the hands so up to you. I'm just the muscle with a side of sarcasm here." Isolde was kind enough, and he was grateful for someone else to look out while his bulk had no cover, but they knew each other barely a few hours at best. Happy to meet people who didn't want to kill him didn't mean he felt entirely safe with only them for company. He wanted his brother... Akamu was safe and familiar, he knew Kaleo's moods and needs before even the Mudbray himself knew sometimes. Without him he felt detached, adrift, and without his trainer or his brother he didn't know what to do or how to be useful. The wait was quiet, and with Kaleo simply resting, Isolde felt her thoughts wander as she kept an eye on the area. Able to appreciate the weather for once, it hit her just how far from home she had to be. There wasn't any snow or frost, and even in the cooler hours of the morning, it was still warm. Maybe that was for the better. The distance would ensure she never ran into the rest of her swarm; even if it came with the disadvantage of her wings sticking out in the greens and browns of the warmer climates. She couldn't help wondering what her friends would have thought of this area. Would they have wanted to raise their children here instead of the harsh tundra? "Don't really care," the dog said, and Oliver felt his anxiety spike at the vague irritation in his tail wag. Oh no. "I was just putting out ideas to getting this thing outside. I don't care which one we try. You're the one with the hands so up to you. I'm just the muscle with a side of sarcasm here." Was that- supposed to be a joke? Was it all right if he laughed? He did, even as he contemplated the thought, a nervous giggle that he smothered quickly, eyes skittering away from Akamu. "O-okay- let's- try rolling it, then." It was best to just go along with him for now, if he was getting annoyed. "U-uh- okay l-lemme see-"
He moved around to one side and gave it a careful push. But it was big and heavy, and he would need Akamu's help in making it gain any serious ground, so when he joined in, slowly, the two boys carefully rolled the vase towards the back door, Oliver on pins and needles the whole time. But, mercifully, it made it outside still intact. If perhaps with a new chip on the top. Phobos really didn’t like the idea of being useless for this. Why couldn’t he possess objects, the same way these other ghosts apparently can? Maybe, if he did, he could understand a little of what it was like to have a solid form. It could be so much fun, so interesting. Oh, if only he had more knowledge...! Though, Akamu might know more about it-maybe he could share with Phobos? He’d give anything to learn about these ghosts from other places! Asking him about it later could be smart, but for now, Phobos probably shouldn’t interrupt them. He settles for listening to Oliver’s suggestions, still interested in seeing what they do even if there’s not really anything he can do personally to help. "Don't really care," Akamu suddenly says after Oliver finishes talking, not sounding happy at all. Uh oh. "I was just putting out ideas to getting this thing outside. I don't care which one we try. You're the one with the hands so up to you. I'm just the muscle with a side of sarcasm here." What? Phobos has no idea why he’s reacting this way-or what “the muscle” means. It must be some corporeal thing. Whatever the answer, he doesn’t get what annoyed their companion. Oliver brought up his ideas, and... that’s it? Did Akamu not want Oliver to talk? Is he reading way too much into this? Phobos might have said something, but he doesn’t want to cause any more trouble for his friend. Oliver has already nervously laughed it off; saying anything else wouldn’t do any good. Still. He doesn’t like the awkward tension he’s feeling here, especially when Isolde isn’t there with them. She was always there when trouble started before. At least Akamu isn’t a dangerous Pokemon, so there’s no real trouble. Hopefully. ”O-okay- let's- try rolling it, then." Phobos can’t tell if Oliver is very confident about that idea, but it’s best to leave it to the ones who won’t phase right through the thing. ”U-uh- okay l-lemme see-"
After some consideration, both of his non-ghostly companions start to move his discovery to where the others are waiting. Phobos can’t do anything to help, so as he follows, he tries to imagine what it is like to interact with the world the way Oliver and Akamu do. It’s way better than getting all sad. How does it feel to move this object along? What in the world do corporeal Pokemon think of being all solid, unable to pass through things as easily as he does? Sadly, as hard as he tries to concentrate, it’s impossible to know what it is like to not be a ghost. This is his whole world, after all. It didn’t matter how much Phobos watched, or who explained it, it would never make any sense for him unless he experienced it himself. Which... Phobos probably wouldn’t. He tries not to feel too disappointed.